Another weekly update, this ones is less interesting since we already have cap 110 (remember that KSRO actually has cap 105). This is the last weekly update, but next week joymax will probably release a teaser page. 1) The legend X will set a cap level of 110. *Content from 106~110 will be added too. 1) Both Chinese and European race will get new and powerful skills in all the sectors. *The detailed info about the updated skills will be revealed in the future. Even it they don't mention it, I think with this quests expansion the quests known as "Hotan Plus" quests are going to be added too. 1) Egyptian quests will be added in mases, more quests from Alexandria, Devil of the Century, Superhuman of the Desert and more quests will be added. 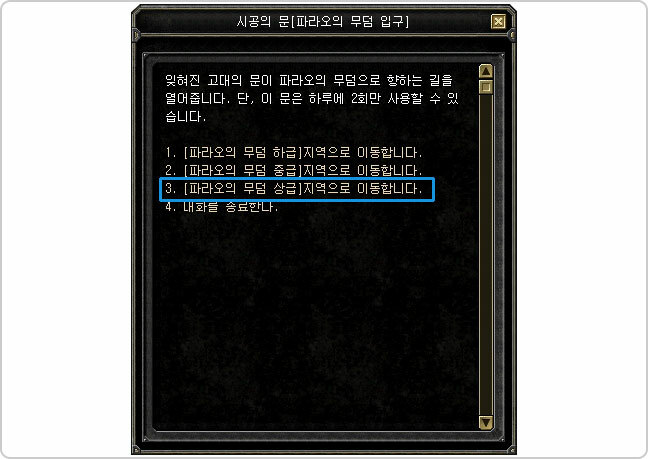 2) Special quests and berserker quests are going to be added. 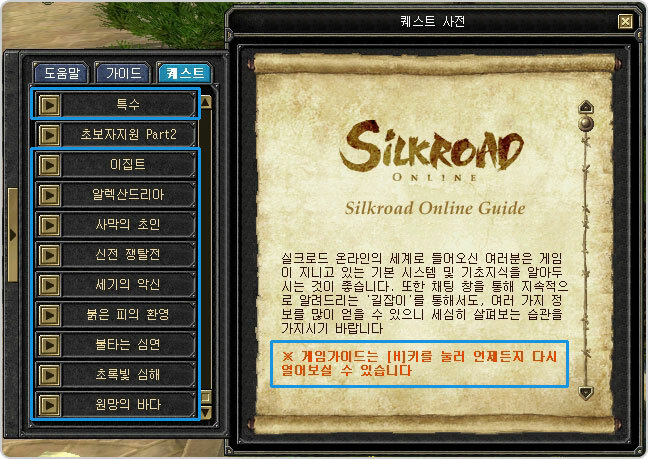 *You will be able to check the new quests on the game guide pressing H.
*More quests will be updated in the future. *Some quests may already be available in other 110 cap versions. 1) The Pharaon's Tomb, updated in the Legend IX, will get a new difficulty level. *Along with the already existing levels, Beginner and Intermediate, you will be able to play the Advanced mode. 2) The details about the new extension will come soon. Booooring update, but the skill stuff looks weird, cap 110, skills 120? Lolwuat? Anyone know what weapon he have ? D12? I can't see the weapon that the char wears, but I don't think is a D12 weapon. Well maybe it can be, but as far as I know D12 is not developed yet. And if Joymax releases the Legend X before September, we will get it on the end of 2010, begin of 2011.
there were allready degree 11 pk2 ._. Um...that shield in skillpic, what shield is it? Looks like the egypt set shield. There is no egypt set shield, there are no set weapons aswell. The blade is also different. 12 degree chinese weapons are mainly red, so the shield may be 12 degree. But it's not easy to find out since Konpaku has only found the textures of the sword and the blade 12 degree. 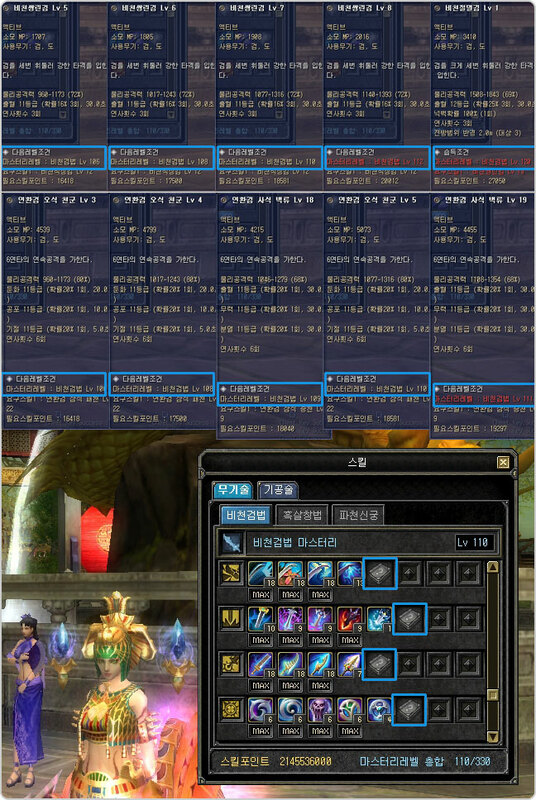 But 12 degree accessory is already in the pk2, there are stats and names, but no icons for them.